The world’s largest sports network just hired a noted critic as its watchdog. What’s next for sports media? 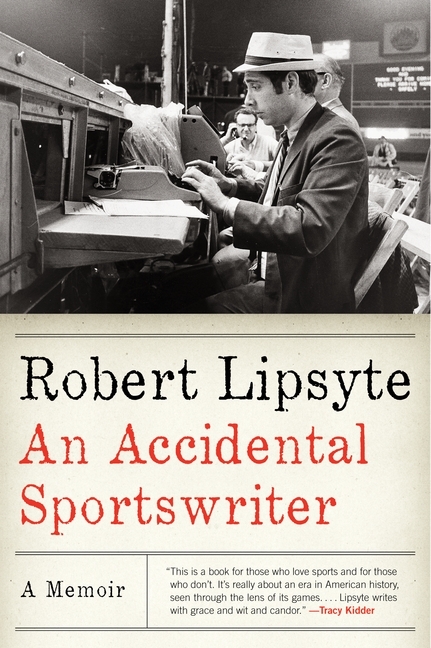 Robert Lipsyte has a reputation, largely built from his years at The New York Times, as one of the most fearless sportswriters and columnists of the last century. He has been a critic of jock culture, racism, sexism and homophobia in sports, and the over-corporatizing of our games. In his famous book of the same title, he coined the phrase “SportsWorld” to describe this stew of style with little positive substance. Now that same Robert Lipsyte is going to be the Ombudsman at ESPN: the great magnetic force at the heart of our twenty-first-century SportsWorld. Here, The Nation speaks to Robert Lipsyte about this stunning turn of events. Dave Zirin: So let’s start with the question many readers might be afraid to ask: What the hell is an ombudsman? Robert Lipsyte: In this case, the ombudsman, like the New York Times public editor (of whom I am currently an avid fan) is the representative of ESPN’s reading, listening and viewing audience. I will be happily wading through the e-mail bag to find out what that audience is concerned about, complaining about, loving, questioning. Then I will try to explain the background of what happened, demystify the process (through reporting) and offer my take. Transparency. ESPN is the world’s great window on sports. I’m the window washer. What was your reaction when ESPN asked you to take this role on? I was thrilled. I started as a copyboy in the Times sports department in 1957, at 19, and have been covering sports, one place or another ever since, always as an outsider. I hadn’t applied for the job (didn’t know it was open) and when the call came I thought it was the perfect last job in my career, a chance to help people understand the impact of sports on our lives through the prism of the world’s most important multi-platform source of sports entertainment and news. I likened it to Bill McKibben being asked to head up the EPA. It’s an awesome choice, but you wonder, how long it can last? Is it fair or correct to say that you have spent decades as a searing critic of much of what ESPN represents? I’m flattered to be compared to Bill McKibben, but I’m not sure either ESPN or I can match that comparison. Especially since ESPN reached out to me and the EPA has yet to call McKibben. Can it last the whole eighteen months? We’ll see. Be a hell of a story if it doesn’t. And yes, I’ve criticized not only what ESPN represents, but ESPN itself. That they still hired me (there were other candidates, and strong ones at that) seems to indicate they are up for a clear-eyed look-over. In your book An Accidental Sportswriter you wrote at great length about the inequities for women in sports. ESPN has certainly been criticized for undercovering women’s sports. Do you see yourself raising this as an issue? What about issues of race and LGBT inclusion? Will your be looking at those issues with a critical eye as well? I can’t imagine that these issues will not come up. I’m sure the audience will bring them up. Again, I’m not going in as an enterprise investigative reporter—that’s the media’s job, your job, Dave—but as the agent of inquiry for the fans. I have to ask you the First Take question. What do you think about the show? Many critics see it—the constant yelling, the hyper-focus on Tim Tebow, Skip Bayless’s contempt for athletes—as the nadir of the network. Is part of your role raising criticisms of the form and content of shows like First Take? I have to admit I love to read and hear about Tim Tebow and Jeremy Lin and Lance Armstrong. Can’t get enough. (They are my Kardashians, along with pretzels and peanut butter.) As for First Take—if you hate it, shut it off! I thought Richard Sherman’s trashing of Skip Bayless was fascinating TV, and had that happened during my watch, and if the audience wanted to know how and why it happened, and if there seemed like some window-washing was in order, I would have jumped at the chance to check it out. Even Bill Simmons—a star at ESPN, not one for public criticisms of those in Bristol—criticized First Take and was briefly suspended from Twitter for speaking out. Do you have any concerns that if you are too harsh they’ll cut you off at the knees? I can’t even allow myself to think about that. Be like a wide receiver hearing footsteps instead of concentrating on catching the ball. Last question. If in 1968, someone had told you that you’d be the ombudsman for the most powerful sports media entity on the planet, what would you have said? Jeremy Scahill’s new book, Dirty Wars, was released this week by Nation Books. Read an exclusive excerpt at TheNation.com.